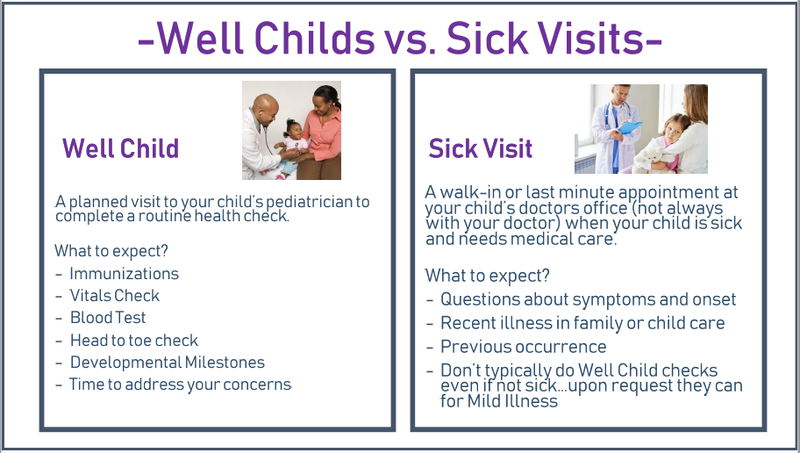 Protect Yourself and Your Child from the Flu! Children in the U.S. still get vaccine-preventable diseases. For example, so far in 2015, more than 100 people across the United States have been reported to have measles. Measles is very contagious. It can spread through the air when people with measles cough or sneeze. It is so contagious that if one person has it, 9 out of 10 people around him or her will also become infected if they are not protected. An infected person can spread measles to others even before knowing he or she has measles—up to 4 days before the telltale measles rash appears. Your children’s health is a priority to us. Children younger than 5 years of age are at risk for a serious case of measles if they get it. So we would like to remind you to keep your children up to date on their vaccines. That means make sure they get their first dose of the measles-mumps-rubella (MMR) vaccine at 12 through 15 months, and a second dose when they are 4 through 6 years old. We care for children of many ages, and some of them are too young to be protected by vaccination. For example, children younger than 6 months of age cannot get MMR vaccine. Others may not be able to receive certain vaccinations due to severe allergies, weakened immune systems from conditions like leukemia, or other reasons. To help keep them all safe, it is important that you and your children who are able to get vaccinated are fully immunized. This not only protects your family but also helps prevent the spread of these diseases to your child’s friends in our classrooms. For more information about the importance of infant immunization, visit this website. Don’t have health insurance or does your insurance not cover vaccines? Check out the Vaccines For Children (VFC) Program. The VFC program is a federally funded program that provides vaccines at no cost to children who might not otherwise be vaccinated because of inability to pay. "Use a Layered Approach for Sun Protection. Sunscreen works best when used with shade or clothes, and it must be re-applied every 2 hours and after swimming, sweating, or toweling off. Wear a hat, sunglasses, and protective clothing to shield skin. Use broad spectrum sunscreen with at least SPF 15 to protect exposed skin. Seek shade, especially during midday hours." How Can I Protect My Children from the Sun? Have your child drink tap water that contains fluoride. To see if your community’s water is fluoridated, you can view your water system on CDC’s My Water’s Fluoride website. You can also call your water utility company and request a copy of the utility's most recent “Consumer Confidence Report.” This report provides information on the level of fluoride in your drinking (tap) water. 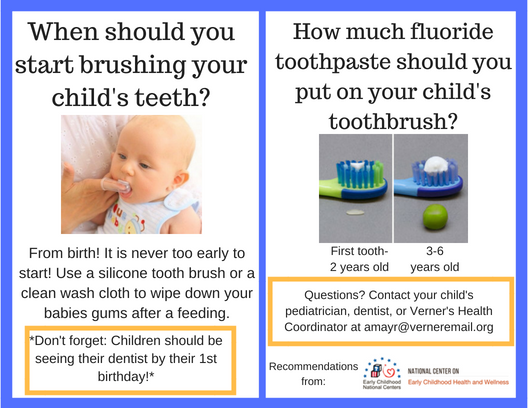 This series of handouts for pregnant women and parents of infants and young children provides simple tips on oral health issues. ¡Sonrisas saludables: Un webinario para padres sobre la salud oral! By the time your child is 1 year of age, the American Academy of Pediatrics’ Brushing Up on Oral Health: Never Too Early to Start recommends that your child visit a dentist for an initial check-up. How to Handle Picky Eaters? What is WIC Nutrition Program?